You may call it dimsum, momo or even jiaozi, but India certainly loves it for its savor and easy availability. Besides, its USP of being healthy, the product offers a healthier business opportunity too. Ekta Verma, tells you more about this business option that is fresh and steamingly hot. The lesser known fact is that momo is native to Tibet, the dimsum is a product of China and jiaozi originated from Japan and all look almost the same. According to a report by The National Restaurant association of India, the rise of eating out economy has propelled the restaurant industry to $48 billion. Chinese cuisine ranks India's most favorite after local food, in the country's F&B business bubbling at 9% annually. Dimsums entered India in the form of momos that were more of a Tibetan street food, usually stuffed with cabbage or chicken. Dimsums that the Chinese brought were more elaborate, classier with a thinner skin and carried a range of filling options. In India, Royal China owes its success to the high quality of its dimsums. Aashita Relan, Director, Royal China says: “India may have a bunch of Chinese restaurants serving what we call "Momos”. It bothered me a lot to see the way people were just Indianising one of my favourite cuisines in the world. That was the time I decided to give Indian people the taste of real dimsums. Vinayak Jaiswal, Director, Mr. MOMO says: “When I entered this industry, I realized that a lot of effort has to be put to develop our brand in QSR model. Today, we dish up 13-14 varieties of dimsums prepared in four different assortment as steamed, fried, Tandoori and gravy. For the Indian gastronome, we have some Indianised varieties too. 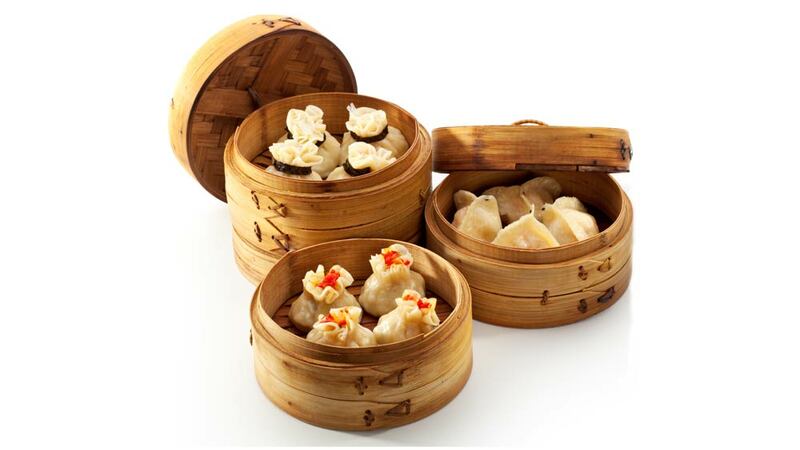 Royal China that has outlets in Bandra, VT in Mumbai and in Delhi is known for serving authentic dimsums. “The trend is changing as the economies are becoming smaller. People are now travelling all over the world and they are very well aware of the real cuisine. No longer can anyone just open a restaurant, serve Indians momos and manchurian and claim to be serving Chinese food. But, yes the dimsum trend is there to stay- says Relan. “Exposure to modern cuisines, more Indians travelling abroad, willingness to try new cuisines are all factors which have led to the popularity of foods like dimsums, doughnuts, yogurts in India- opines Mahajan of Yum!Yum! Dimsum. According to 'India Food Service Report 2013' by the National Restaurant Association of India , the Indian food service industry is currently worth Rs 247680 crore and is expected to grow at the rate of 11 per cent to touch Rs 408040 crore by 2018. The market potential is surely encouraging home-grown and existing players to expand their footprints, while new European and US brands are charting India entry plans. London's dim sum eatery Ping Pong will make its debut this year in Mumbai. For Yum!Yum! franchise an investment of Rs one lakh is required with an area of 10 sq.ft . The expected RoI is 100-150 per cent in a year with breakeven of usually 3-6 months. Currently, Mr. Momo has 6 outlets in Delhi/NCR and prefers opting for the franchise route for quick expansion. There is a bunch of eateries that specialise in hundreds of varieties of these dainty delights and most of them prefer taking the franchise route for getting bigger in less time. With an investment of Rs 8-10 lakh and area of 200 sq.ft anyone with a passion for Chinese food can look for a Mr. Momo franchise. The RoI is 15-20 per cent with a break even of 2-3 years. Royal China is definitely seeking franchise partners who are capable of delivering experiences that Royal china India is recognised for. UK-based food industry researchers and analysts IGD estimate that China's food market that was 35 per cent the size of the US market in 2003, and will grow to be 82 per cent in another 13 years. The US, China, Japan, India and Russia are expected to be the top five food retail markets by 2020.